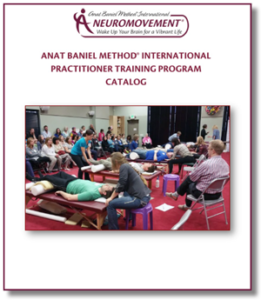 Anat Baniel Method® International offers continuing education (CE) credits for the National Certification Board for Therapeutic Massage & Bodywork, and CEU’s for California Physical Therapy Association. Please contact admin@anatbanielmethod.com for more details. 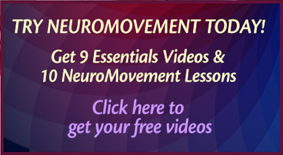 As a graduate, you can hone and refine your skills AND earn continuing education credits as an ABM NeuroMovement® Practitioner. Come, work, experience the training again, dive in deeper, and learn more! Click here to view our upcoming Support Staff Opportunities. Note: To be considered for a Training Assistant position, you need to first attend the training program as Support Staff. The Practitioner Training Program offers hundreds of different techniques, movement lessons, and a profound and rich understanding based in science and rich human experience. Through hundreds of hours of movement lessons, lectures, demonstrations and hands-on practice, you will find yourself changing, transforming for the better, and learning the same way you did as a child. You will gain the knowledge and tools to continue improving and growing throughout life. As a professional, you will transform the outcomes you reach with your clients, from children with special needs to world-class athletes, beyond what is normally known to be possible.